An interview with Mitali Sagar, one half of the House of Misu duo, on how to organise your closet. 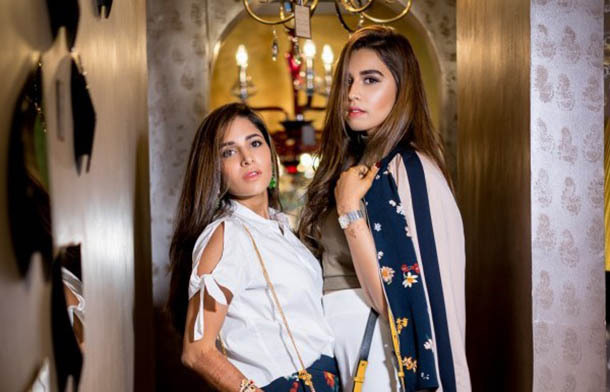 Mitali Sagar and Summiyya Patni are a 27-year-old fashion conscious duo and the brains behind the successful brand House of MISU. These ladies are passionate and completely dedicated to the changing the face of our fashion landscape with their fabulous sense of style. Mitali is a self-confessed lover of all things colorful and artistic, and someone who stresses capitalizing every inch of one’s wardrobe. She emphasizes that a clean and well-organized wardrobe can not only help you maximize your fashion purchases but can also help you maintain and upgrade your existing finds. On the importance of getting rid of old clothes | Purging old and unused items from your closet is easier said than done, yet a necessary evil. Discarding old clothes means creating space for new ones. Not only does it free up space for new goodies, but it also leads to a lighter and more organized mindset. On clutter-free organization | One of the perks of my new house post marriage is that I have a walk-in closet, which I have designed myself. I have segregated a special space for my bags on a shelf that runs along the top of the walls. I particularly treat my shoes with utmost love and respect, and they get one full wall. My jewelry, on the other hand, goes into boxes, shelves, and drawers depending on how frequently I use it. On the need for seasonal segregation | I’m very particular about ensuring that clothes and shoes I need in the current season are more accessible. For instance, my sweaters, jumpers, and mufflers get pushed to the back of the row during summer and vice versa. I have a separate closet for traditional Indian clothes and super formals since those are least used. On taking maximum advantage of spaces | Originally, my closet was situated inside my bathroom and wasn’t very large so I had to get creative to make space work for me. Layering storage for different purposes is a great way to use all the wall space without eating into the length and width. I have a lower drawer over which I have a section for my safe, then a ledge and then a rod to hang clothes. Also, I have a lot of shoes so using a wall for shoe shelves is a great way to store and admire them. If you have some blank space at the back of the door, I’d say fixing a full-length mirror is a smart idea.